The cherry blossoms or sakura are one of Japan’s gems that attract millions of tourists from around the world each year. But they can only be experienced during spring time hence, people from foreign countries wishing to see them should plan well for their trip. 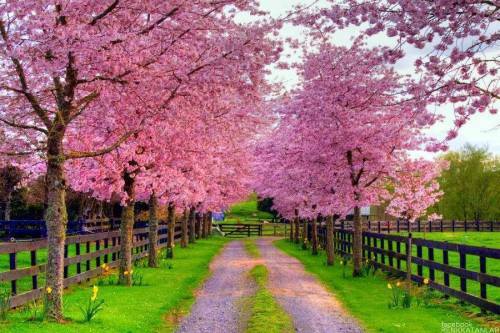 These flowering trees bloom at different times every year depending on their location. Generally though, the blossoms bloom early in areas with milder climates. Those in sunny areas bloom earlier than those in shadowy places. On the southern island of Okinawa, for instance, the cherry blossoms open in January while in Hokkaido in the north, they bloom as late as May. In the cities of Tokyo, Kyoto and Osaka meanwhile, they bloom in April. The blooming season of the cherry blossoms normally lasts for only two weeks. They fully bloom (mankai) within a week after they first open and the following week, their blossoms already start to fall. In Japan, it’s a tradition for people living there to visit parks when the cherry blossoms bloom. This particular blossom viewing season is known as hanami which takes place between March and May. During the hanami, locals enjoy a picnic at the parks or they sing songs that celebrate the beauty of the cherry blossom. This period also marks the end of the school year for Japanese students while for the older Japanese folks, this season marks a new beginning. Legend has it that the pink buds symbolize the spirit of the samurai or the warriors. These warriors normally have a brief life yet a glorious one on earth. On the religious side, the temporary nature of the cherry blossoms is a reminder for people that all living things will pass the reason why every individual should make the most of his or her life while still alive. This year, Japan is expected to attract some 350,000 Chinese who are to spend $1.1 billion. The Chinese are keen on going on a blossom viewing tour and buying souvenir items including the cherry blossom bath salts, flavored sake as well as jewelry and food. More Korean tourists are also expected to visit Japan and their number is foreseen to rise by 70 percent. It’s interesting to note as well that these cherry blossoms are not limited to Asia. In 1912, Japan actually gave more than 3,000 of these trees to the U.S. thereby letting the Americans experience their beauty each year. Many of these beautiful trees are located in Washington D.C.’s Tidal Basin.